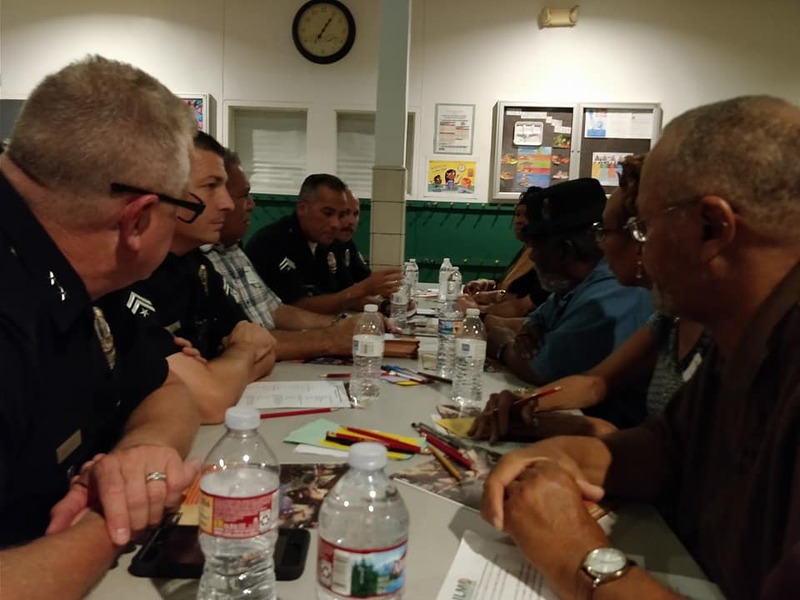 On Wednesday October 25, 2017 the ILM Foundation arranged for its Safe Communities Initiative Network (SCIN) to meet with Los Angeles Police Department (LAPD,) regarding the current and future state of community policing and accountability in South Los Angeles. Partnering with the Institute of Non Violence Los Angeles for “Days of Dialogue,” which is a moderated dialogue, so its participants can “go beyond any one individual’s understanding.” A courtyard full of Community Leaders engaged in a tenacious dialogue about police practices and community accountability in South Los Angeles. Before engaging this meeting, we decided to focus on training, by hosting our signature Community Accountability Labs. Where we guide community members to reflect on personal encounters with law enforcement and then match these experiences with solutions, to form a powerful narrative. This process of learning not only helped local leaders learn how to engage the civic community, but it also created a reciprocal learning experience. So, the lab facilitators can also earn a more deeper perspective of shared power and leadership. We held 3 labs that trained over 20 leaders, consisting of African American Imams and South LA grassroots leaders. We then aligned one another with a shareable purpose, in a sense we are issuing stocks of social responsibility, for South LA’s growth. In retrospective, the African American Muslim community shares the same Black experience with African American Christians; a resilient bond developed during Civil Rights Era and the Black Movement ~ a struggle to bring about good.